American Pharmacists Association conference recap - Sentry Data Systems, Inc. American Pharmacists Association conference recap - Sentry Data Systems, Inc. When we think of Seattle, we think of the Space Needle and, of course, coffee. On March 22-25, more than 6,000 pharmacists from all practice settings converged on Seattle for the American Pharmacists Association (APhA) Annual Meeting & Expo, with thoughts of pharmacists’ roles in healthcare top of mind. While we did drink our fair share of coffee, our primary goal was to engage in discussions with our peers on the practice of pharmacy and the transformation of APhA. This year’s report on policy review retained several policies (83 out of 99) related to social media use, credentialing, telemedicine/telehealth/telepharmacy, health literacy, patient counseling, Medicare, Medicaid and other payment programs, health information technology, and stress and conflict in the workplace. Of the 99 policies reviewed, 15 were archived either because the programs were not in place any longer or because new contemporary policy overlapped with the old. Three policy statements impacting pharmacy regarding consolidation within healthcare were addressed at the meeting, in addition to pharmacists’ roles in mental health and emotional well-being, and a referral system for the pharmacy profession. Of particular interest was assessing recent mergers and acquisitions and both the economic and patient care effects of vertical integration. The report described the benefits and drawbacks of each of these policies, which included the anti-competitive effect of consolidation. 340B entities began to see the potential downside of consolidation in light of the CVS/Aetna merger reimbursement decision that impacted entities early in the year and was later withdrawn. The impact of such a decision on both patients and entities would have been detrimental if it had gone through. The new policy statements, based on research from two University professors, were unanimously adopted by the HOD. Additionally, there was much discussion among the HOD around the value of education and training of pharmacy personnel versus healthcare personnel when it comes to mental health. 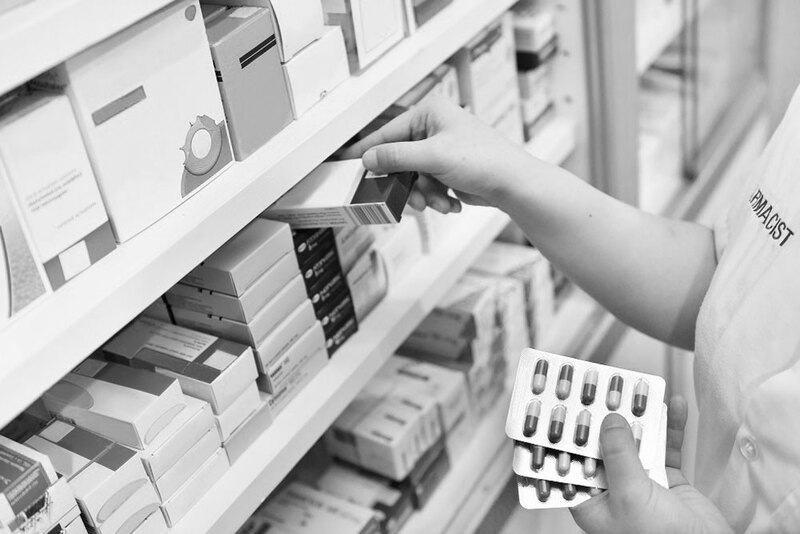 Considering recent events in the retail pharmacy environment, including several robberies and shootings at retail pharmacies across the country, the board directed the policy committee to recommend policy addressing mental health training for pharmacy professionals and the impact of mental illness, among other topics. Lastly, a referral system for the pharmacy profession was met with support from the HOD. The background provided included a comparison of physicians and dentists in terms of rigor of training and existing referral structure. While pharmacists have used referral systems before, there has been no formal structure or policy support as the profession has moved into more specialized services. Pharmacists will need to be assured that interoperability will be a standard part of their services and that documentation systems will account for their patient care activities. Day one ended with a review of the APhA Board of Trustee candidates via brief, two-minute presentations to the HOD. APhA members were encouraged to meet the candidates throughout the conference. In the spirit of tradition, APhA hosts two general sessions where the outgoing and incoming Presidents each provide an address to the audience, followed by an awards program and keynote. This year’s major announcement involved the start of a new CEO search for the association. Thomas Menighan announced his upcoming departure and a new theme for the organization that will begin in 2020—transformation. With more than 11 years as the CEO, Tom was instrumental in carrying out the association’s long-term financial plan, including the opening of the new APhA headquarters and the lease to the US State Department. He also spearheaded a government contract with Health Resources and Services Administration’s Office of Pharmacy Affairs, which was managed by Sentry’s very own Lisa Scholz. Additionally, incoming president Brad Tice showed enthusiasm and excitement for sharing pharmacists’ stories, while outgoing president Nicki Hilliard reflected on the past year and how to move pharmacy forward. While the overarching theme of the APhA 2019 conference was thoughtful policy building, a deeper message around work environment stress was weaved into both keynote addresses. “Know the Signs, Save a Life: Pharmacists’ Role in Suicide Prevention,” from speaker, author, and retired police officer and first responder Kevin Briggs provided insights into managing yourself and assisting others, while “Overcoming Burnout: Building Resilience at Work and Home,” from Eileen McDargh, CEO of The Resiliency Group, addressed how to practice intelligent optimism and use energy management to remain resilient. The conference was packed with content, from clinical information to pharmacy management strategies and everything in between. Among the interesting panels at the event, a “Women in Pharmacy” forum was held to discuss the career journey of Susan Winkler, former APhA executive and FDA attorney. Sentry’s Lisa Scholz invited two students from her alma mater, University of Houston College of Pharmacy, to join her on this panel and provide mentorship and advice on career choices. Dr. Scholz also attended an invitation-only media training session designed to teach pharmacy leaders effective messaging and engagement strategies for communicating with the media. A key message developed by Dr. Scholz and her team for pharmacists during this session was selected for discussion by peers: “Should the high costs of drugs even be a question? Pharmacists are the answer. Talk to your pharmacist.” The teams had fun developing messages while learning the pitfalls of media interviews as well as tips for success. APhA also provided time at the event for special interest groups (SIGs) such as Care of the Underserved Patients (CUP) to meet with their members, discuss strategy for the coming year and reflect on the successes of the previous year. The group engaged in breakout sessions on communication, education and advocacy, and Dr. Scholz presented to the group on the value of advocacy in addressing regulations and legislation that impact both 340B and non-340B patient care sites that serve medically underserved populations. Additionally, the CUP SIG leadership recognized the volunteers, including Dr. Scholz, for their participation and collaboration. The group began in 2018 and has grown to more than 3,000 pharmacist members; you can learn more about this SIG here. Following the CUP SIG, the conference featured a 340B town hall event that focused on how covered entities utilize the savings from their 340B programs and how they have developed clinical pharmacy programs to care for their patients. The highlight of the conference was the Remington Honor Medal dinner, where Executive Vice President and CEO of the American Association of Colleges of Pharmacy Lucinda Maine was honored. Ms. Maine’s speech focused on courage, compassion and being connected, pulling inspiration from the book, “Rising Strong,” by Dr. Brené Brown. The Remington Honor Medal, which celebrated its centennial this year, is the highest recognition award for the profession of pharmacy. Sentry Data Systems was excited to play an integral role in this year’s American Pharmacists Association annual event and we look forward to the transformation of the Association and ongoing discussion on how pharmacists can continue to play an integral role in healthcare.